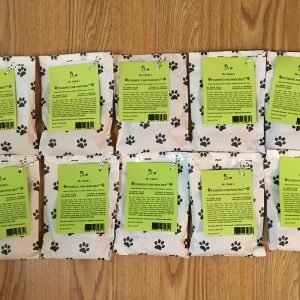 If you are a dog groomer, operate a pet store, have a specialty boutique of any kind, want to raise funds for a charity and/or if you are simply looking for an extra source of income, you can purchase ten packages of this premium dog treat in the attractive white packages and then sell those sacks for the suggested retail prices given for the one, two and three package purchases. In so doing, you and/or your fund raising organization can make a very solid Return on Investment. 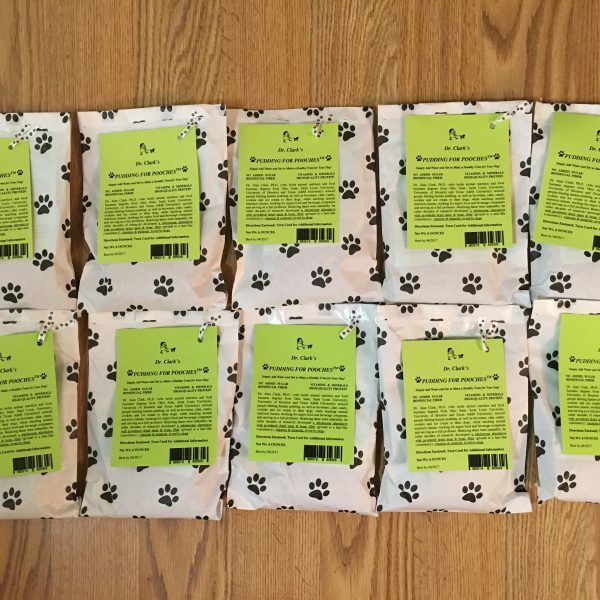 While returns of product are not allowed, individuals have found great success by buying samples of the white and pink packages to show others and then collecting money before placing their bulk orders with us. 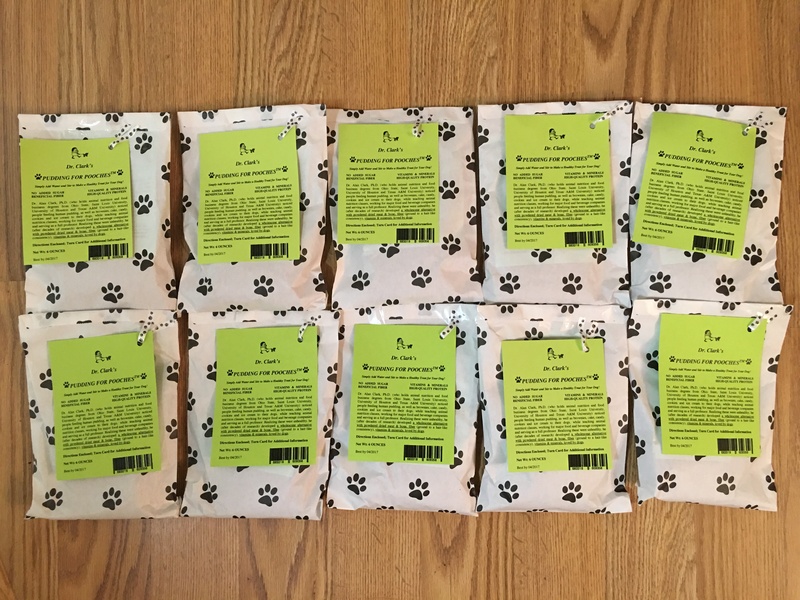 Sixty ounces of the dry mixture are enclosed in ten resealable plastic bags (i.e., six ounces are in each of the ten bags), which are respectively placed in the ten attractive white paper packages. 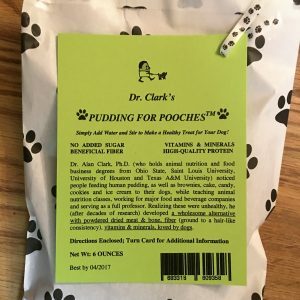 The directions are attached to each plastic bag, while the ingredients, guaranteed analysis, and “best by date” are attached to each attractive white sack. These sacks, like their enclosed plastic bags are sealed shut.